Like the U.S., Japan has a sprawling and dynamic collection of comics, or "manga," to offer. Perhaps even more diverse, as a look at the charts shows top-sellers aren't stacked with capes and tights. It's swords and sorcery, romantic stories that take place in middle-school halls, and bleak drama with a bloodlust. And like my American pull list, I try to mix it up. But regardless of my current habits, my fascination with manga really stems from one series - a gateway tale that set the foundation. Death Note came to me in one of those weird Web meanderings. One of those times you end up on a message board that you never meant to visit. All you wanted to do was remember what Abraham Lincoln's second son was named, but then you stumble upon that fictional vampire-hunting incarnation of the U.S. president. And then you click a link for comics books featuring similar themes of darkness with a dose of humor. And then Japanese comics with the same mindset, and a title you've never heard of. It's called Death Note, and a board commenter is absolutely nuts about it. And so are the five posters that follow him. This is what discovery looks like in 2013. Here's the premise - and hey, don't get weird on me after reading this and leave. I promise; the hokeyness loses its jarring edge quickly. 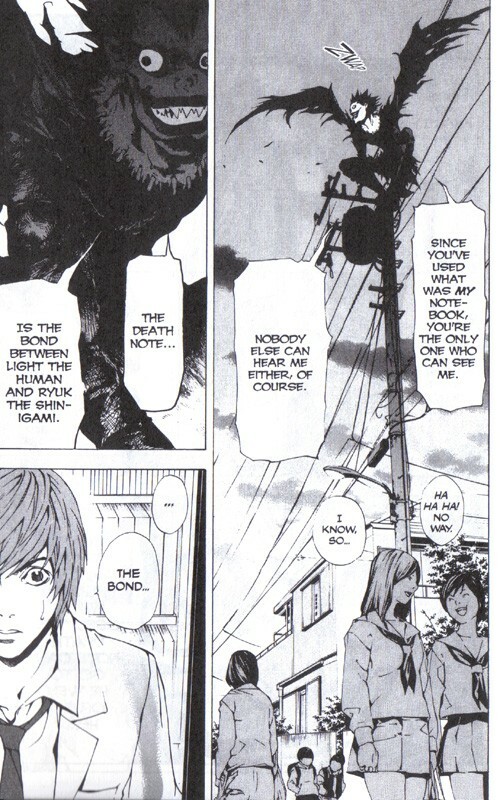 A high schooler discovers a notebook called a "Death Note." The book lets you write names in it, and anyone listed will die soon after. Teen genius Light decides to take justice literally into his own hands, and starts to off criminals, only to be trailed by a master Sherlock-like detective named "L."
Sure, the series confronts themes like morality, the concept of justice and the inevitable corruption by means of power. That's to be expected by the setup. And the fact that our our protagonist (initially) is a teenage boy would at first seem typical of manga. So many summaries on the backs of these books start with "Teenager [insert name] ... " But this becomes an interesting angle - a genius teenager being still a teenager, after all. The layers are numerous. And though the last volume of the series was released in 2006, there are still essays being written about the ideas in this book in literary theory courses across the world. That will likely continue. But this book is more than a thinkpiece. It's a crime drama that involves steady and fascinating police work. It's an exhilarating cat-and-mouse story, as L and Light match their intellects, while the action only builds in the meantime. And though there's a real-world setting, there's a steady helping of fantasy with demons not only existing, but visiting. Remember to read from the right to the left, as is the way of manga. 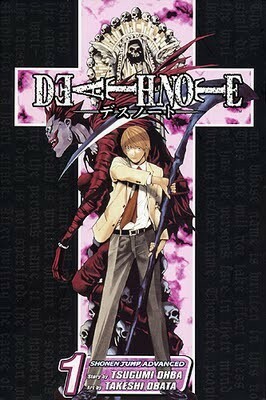 In its 12 volumes and numerous twists and turns, Death Note is an addictive read that strays far from predictability. But my own experience came with its own twist: guilt. It's a feeling that there's been this entire side of comics that I've missed. So then I started exploring. And now that I've made my case for this series, let's get to four other titles that further the reason to keep manga on your bookshelf. 1. One Piece - Personally, I never got the pirate thing. People celebrate national days dedicated to the way they talk. Others celebrate the films that depict them. But my favorite piece of pirate fiction comes from the tale of Monkey D. Luffy. The story sees a band of pirates on the search for the ultimate treasure, with Monkey leading the way to become the next Pirate King. When's the last time you read a great adventure story? 2. Bakuman - From writer Tsugumi Ohba and artist Takeshi Obata, the team behind Death Note, this story concerns a teenager with no aspirations. Fueled by the promise of a female classmate and a persistent peer, he pursues a life as a manga artist. It's not just a love letter to the form; it adds to the mystery of Ohba, the scribe whose actual identity has only been conjectured. Details of the story lead to further speculation. 3. Berserk - The medieval action/fantasy concerns Guts, the protagonist and deadly mercenary. Pick this one up if you crave action, but like your subtext, too. It's been going for over two decades, so don't be afraid of rushing through. Like these other picks, make sure you look out for the anime adaptions, as well. 4. Dragon Ball - My love for Dragon Ball stems back to the days of racing home after school to watch re-runs in Cartoon Network's Toonami slot. Akira Toriyama's series, all of its off-shoots included, are staples in manga and anime. And for good reason, as the story of the magical Dragon Balls and a family of warriors is continuously engaging, despite the ever-present cheesiness. Have any better suggestions? Sound off in the comments below.